It's a soap ... cleaner ... degreaser ... and deodorizer... all in one! Miracle II Soap cleanses your skin, your hair, and your home -- including the laundry. One of the most amazing products that has ever been presented to mankind! Most of this spiritual product is from the dust of the earth, without the drawbacks and harsh ingredients of ordinary soaps and detergents. Naturally concentrated and decontaminating. 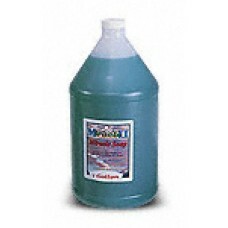 Dilute it to create solutions for light, medium, or heavy cleaning. It's a soap ... cleaner ... degreaser ... and deodorizer... all in one! Miracle II Soap cleanses you.. Miracle II Soap 22 oz.